Well as you know, I do love wine. 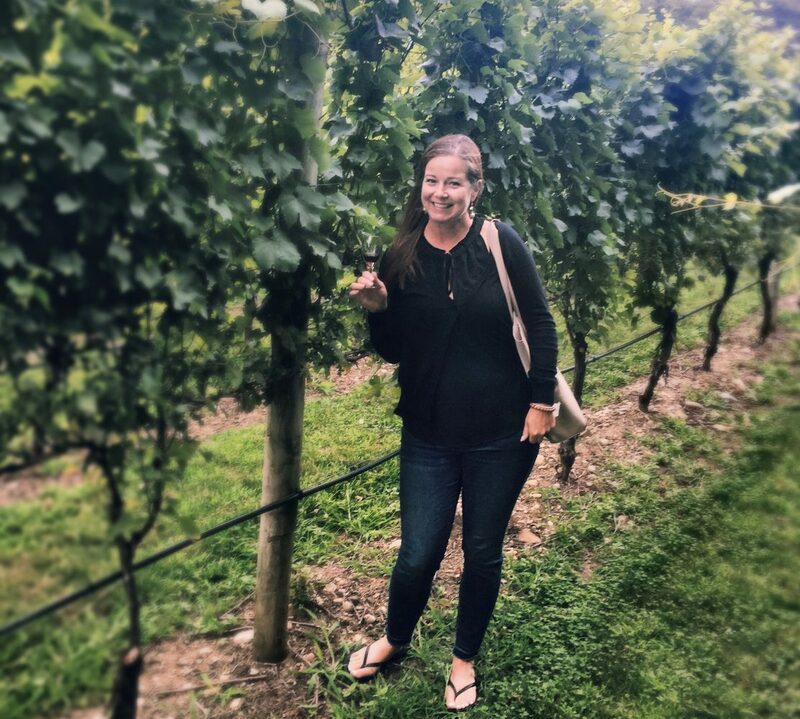 I love learning about the winemakers, the production of it, and I love tasting and exploring different styles and grapes from around the world. So when there is an opportunity to explore a wine region that I am unfamiliar with, I always say YES! This past August I had the chance to do just that by attending the Wine Bloggers Conference in Lodi, California. I not only explored Lodi, but I took part in the “pre-excursion” tour to Amador County (south-east of Sacramento). What a gem of a region! A wonderfully historic and beautiful area, offering boutique wineries producing amazing wine by some genuine lovely people! Grown in the area: Persimmon, walnuts, olives, black beauty apples, pomegranate. This is the best area for Barbera (they tell me), it does well in the foothills of the Sierra Nevada – much like the alps in Piedmont. There is no marine influence and no fog but here there is hot weather with a diurnal temperature swing (meaning hot days with cool nights) which Barbera likes. Watch for Primitivo and Sangiovese as the up and coming grapes in this area. Loved these wines! Rusty the winemaker (seen above) loves working with Italian varieties. Their Sangiovese was rustic and delicious, definitely worth trying vs. a Sangiovese from Italy. Home run! Winemaker Scott Harvey works with Zinfandel and Barbera, but would love to start working with Tempranillo! I can’t wait to check this out when they start producing it! Until then, their wines are dee-licious. They only made 600 cases of their Barbera. Which by the way was yummy, and with such a small amount produced means you need to make your way to their winery! A winemaker for 12 years, we all fell in love with Michael! She’s not just lovely but she makes a killer Vermentino! She is creative and her wines show it! I’ll be watching this family winery. Their aim? To have personality in the wines they produce. So head to the winery, because it’s gorgeous and you can try their bold reds (like the Zinfandel I had in this picture) and fun whites. A family winery where 30% of the proceeds go towards the National Fallen Firefighters Foundation. Much respect for what they have created! Joe the winemaker shared the dirt on his vineyards and his wines. He makes some fantastic Barbera (no surprise as it does well in this region) along with Tempranillo to Zinfandel. Along with one of my favourite finds of the trip: Jubilance, a sparkling Rosé made from 100% Zinfandel. Delicious! I hope you enjoyed my short tour of Amador County Wineries & their wines. A definite MUST for your bucket list of wine regions to explore. This is not a light style rosé, and by the color you might think it’s going to be fruit forward, however it had a lot of tart and sweet cherry notes, stewed strawberries and cherries, a touch of herbaceous or maybe it was baking spice, it was rich and had body, almost replaces a red wine on a summers eve. Made naturally from 100% Cinsault. The Bekka Valley doesn’t make lots of wine that we see, but they definitely are doing a great job! My good friend Christine (a wine blogger as well) and I review it below… check out other wine reviews on my YouTube channel here. Taken from their website on their winemaking style…”Mattia’s trademarked definition, il vino di una notte, “one-night wine”, for vinification occurs just hours from pressing, during the night, and requires great winemaking sensibility to gauge the perfect balance between subtlety and structure, and the precise nuance of color that stands for this.” This is a blend of Groppello, Sangiovese, Marzemino and Barbera. Notes of blossoms, sour cherry and pomegranate. It’s crisp, slightly minerally and really refreshing with bruised fruit like style balance. I’ve reviewed this one before here. This was a delightful find. Refreshing and crisp, yet soft and smooth. A perfect balance! Made from 100% Verdicchio from the Marche region on the east coast of Italy. Expect citrus notes mingled with minerality and a rounded finish. Visit a post from last summer of another completely different summer white here. I hope this gets you excited to try these wines or wines from the regions! Explore, sip & learn!